President Goodluck Jonathan on Thursday (20th Sept) finally bowed to pressure as he directed the Governor, Central Bank of Nigeria, Mallam Lamido Sanusi, to suspend the planned introduction of N5,000 note. 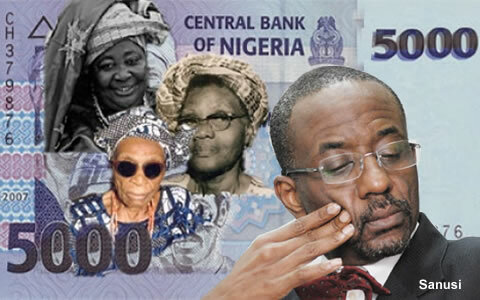 “The introduction of the new note is being suspended for now to enable the CBN do more enlightenment on the issue. “The CBN hereby informs the general public that the President, on Thursday, September 20, 2012, directed that further action on the approved restructuring exercise be stopped.